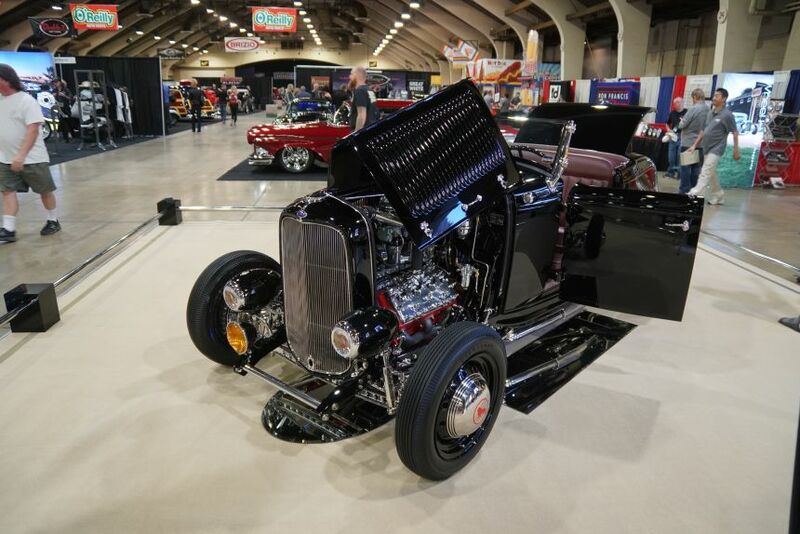 The Grand National Roadster Show is now in its 70th year, and has the distinction of being the longest running indoor car show in the world. 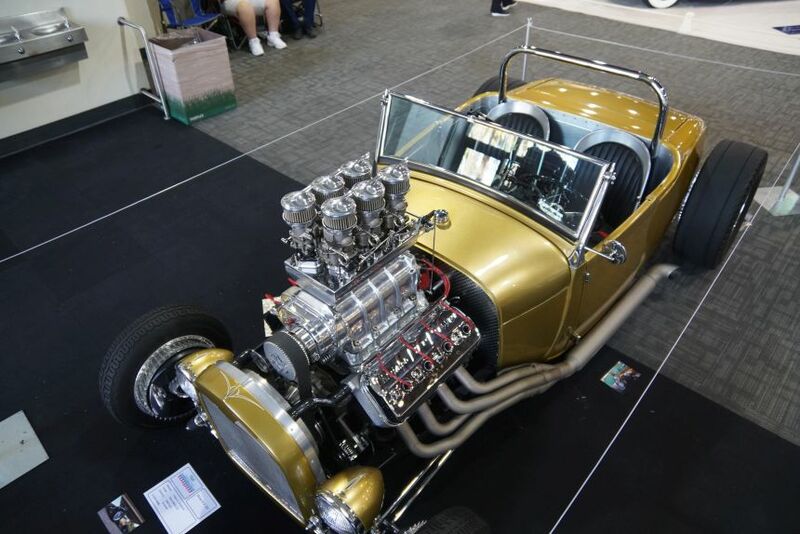 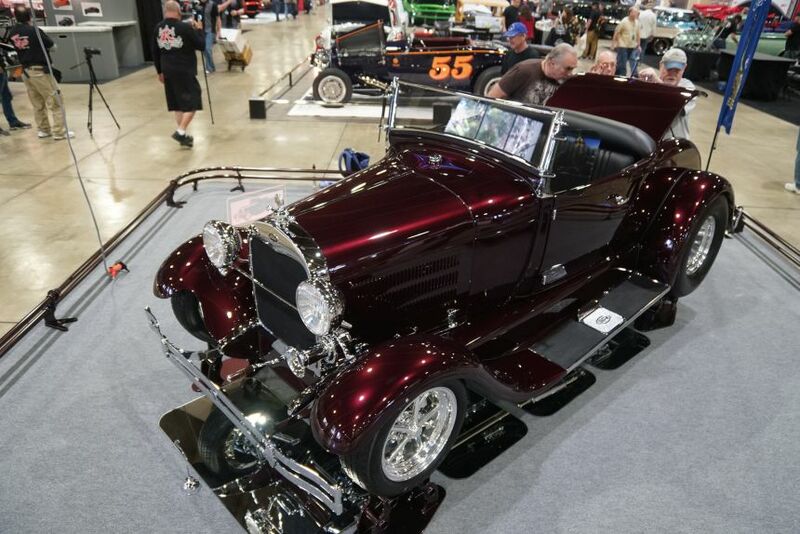 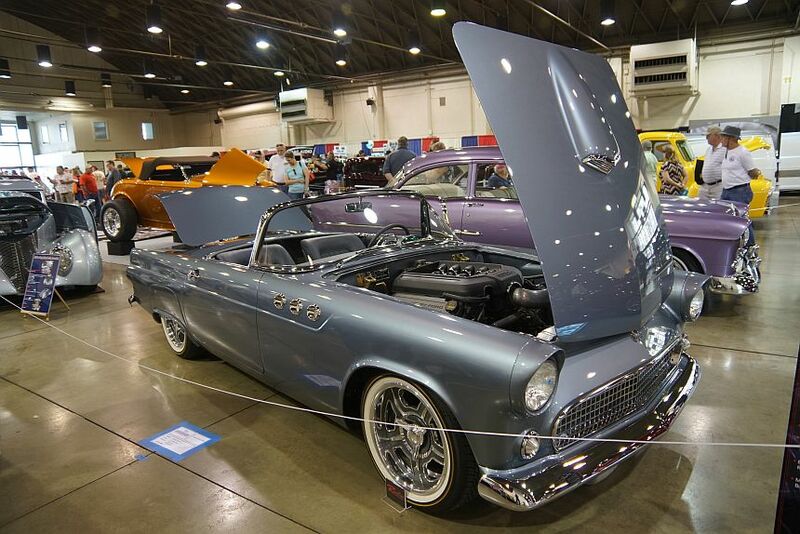 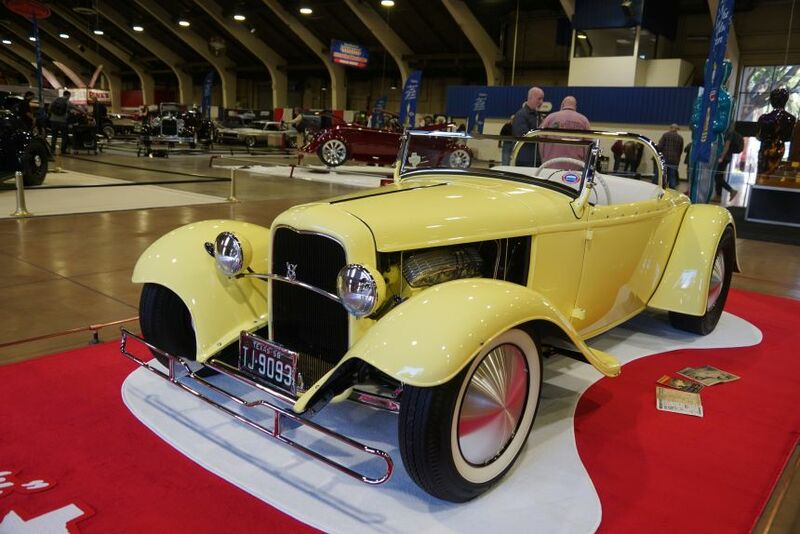 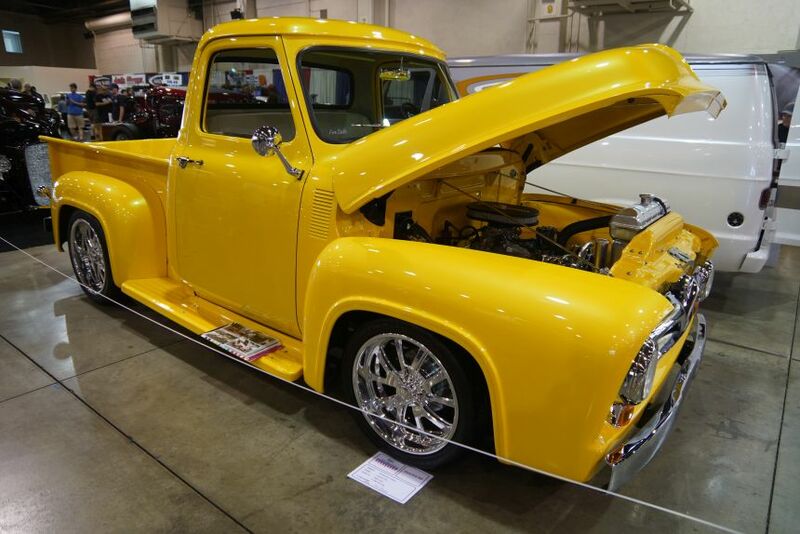 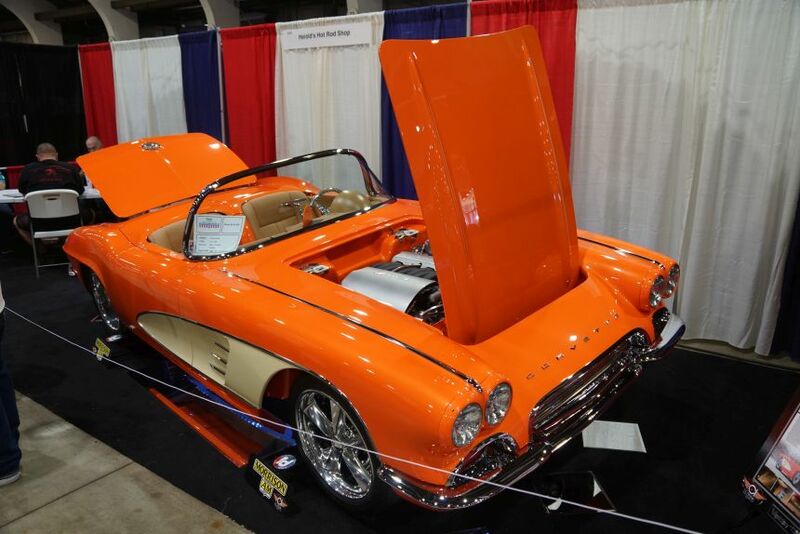 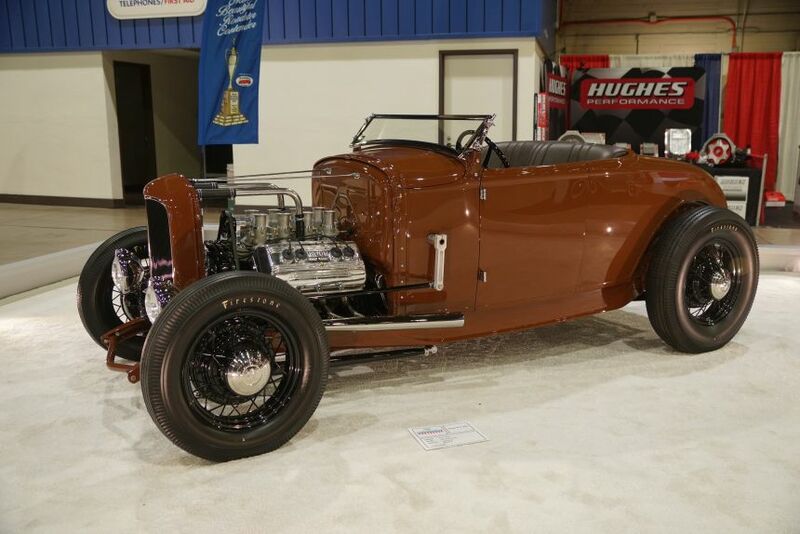 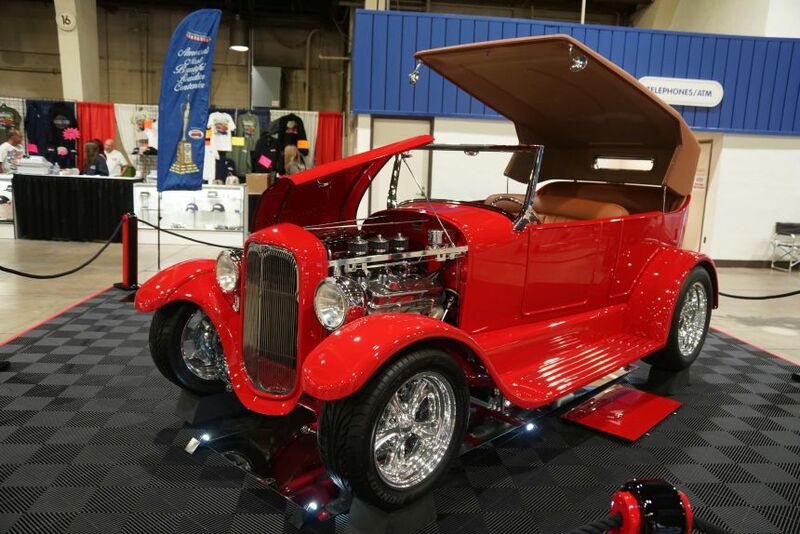 Each year it attracts the best builders, hot rods, customs, and motorcycles, with the selection of America’s Most Beautiful Roadster (AMBR) being the highlight of the show. 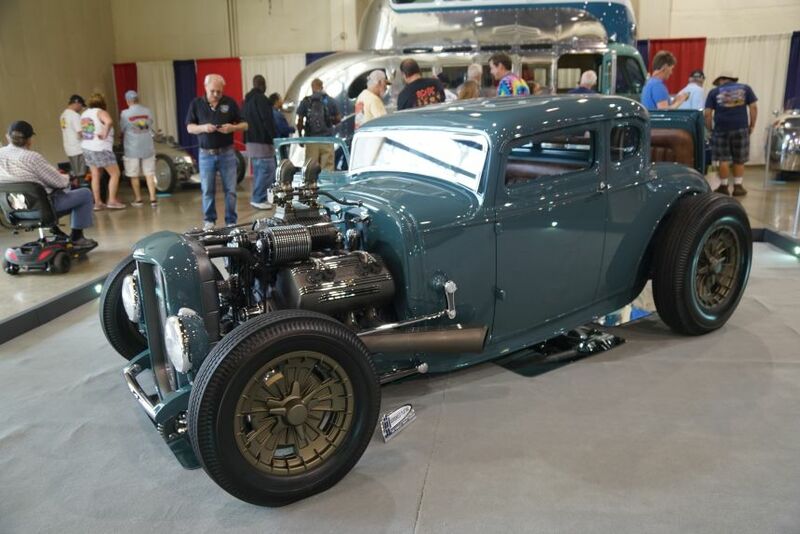 Almost 40,000 spectators over this 3-day event had the opportunity to get an up close and personal look at more than 1,000 of some of the best vehicles the hobby has to offer. 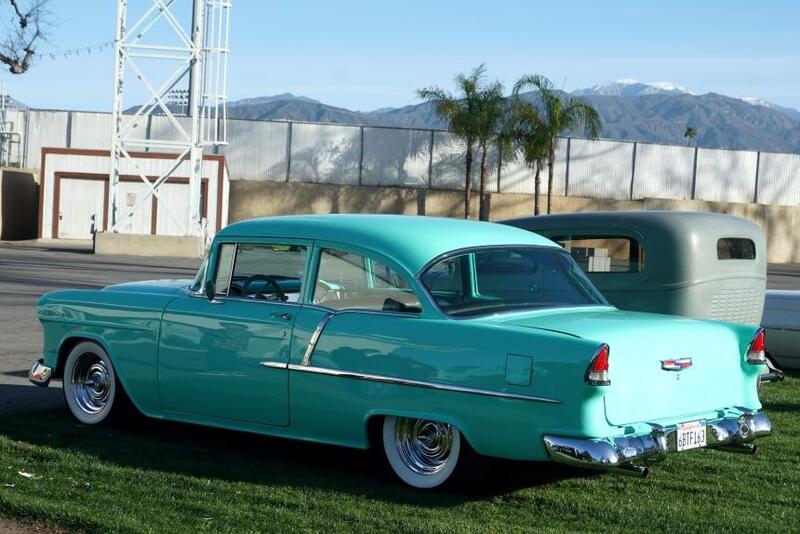 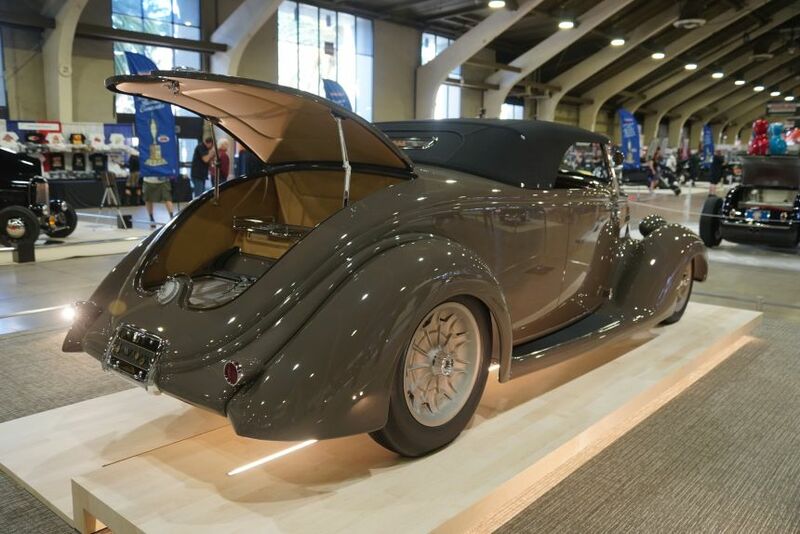 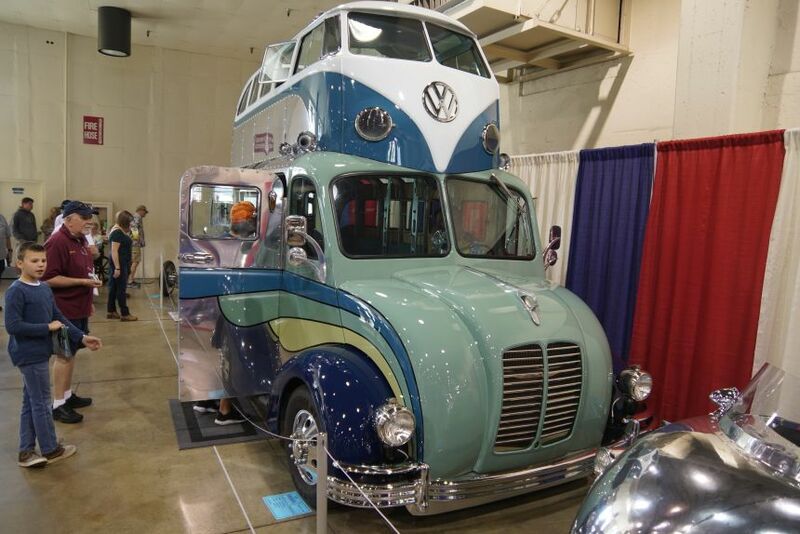 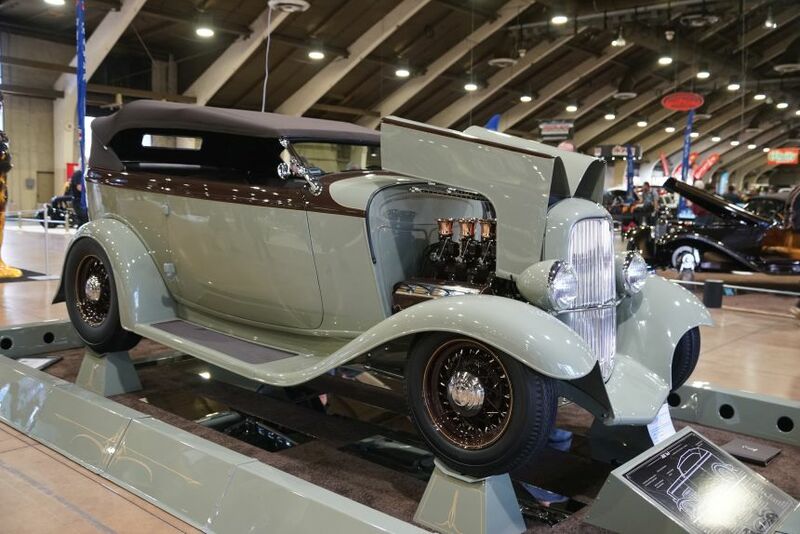 The indoor display boasted approximately 600 vehicles, with the remaining classics on display on the grounds of the Pomona Fairplex. 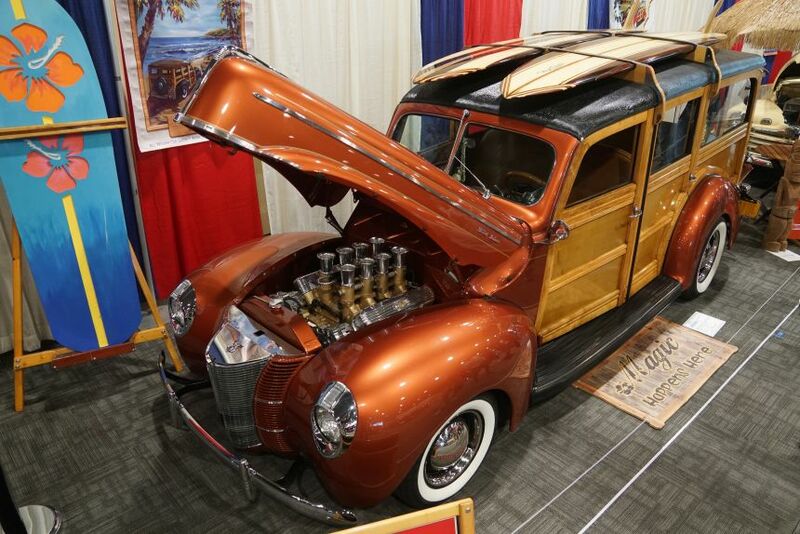 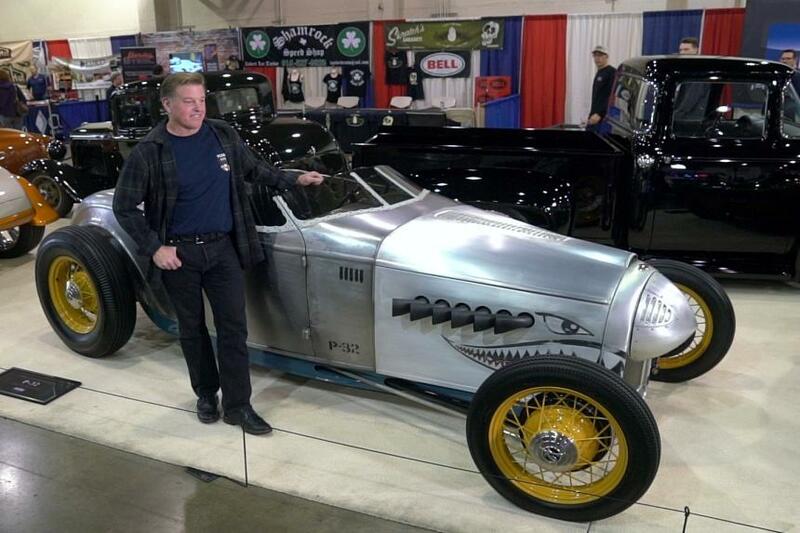 Another significant highlight of this year’s show was its tribute to Chip Foose as Builder of the Decade. 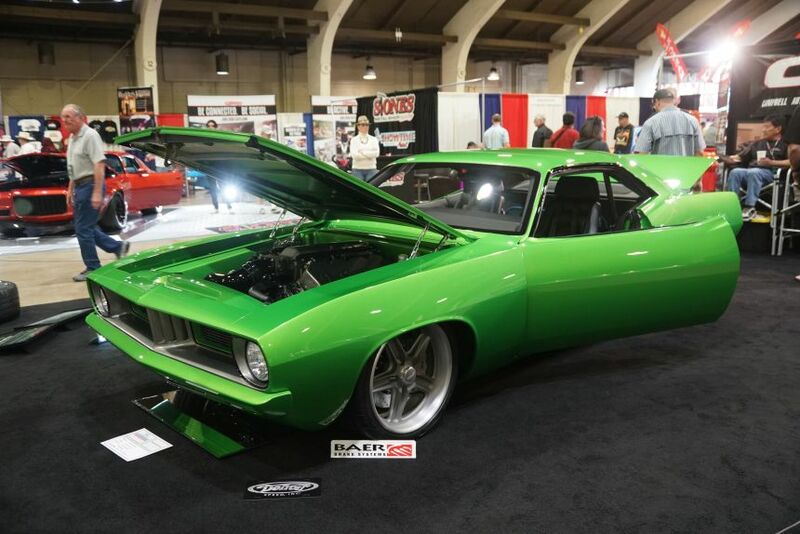 He brought along 12 of his iconic builds, which included multiple past AMBR and Ridler winners. 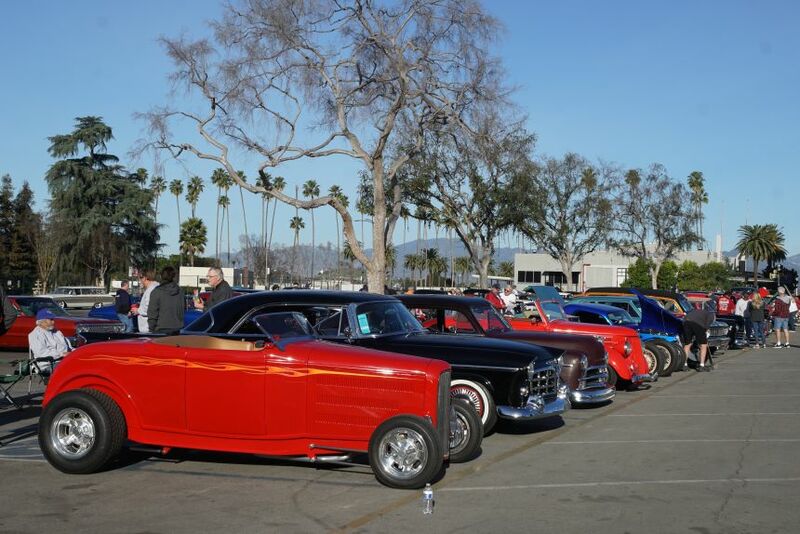 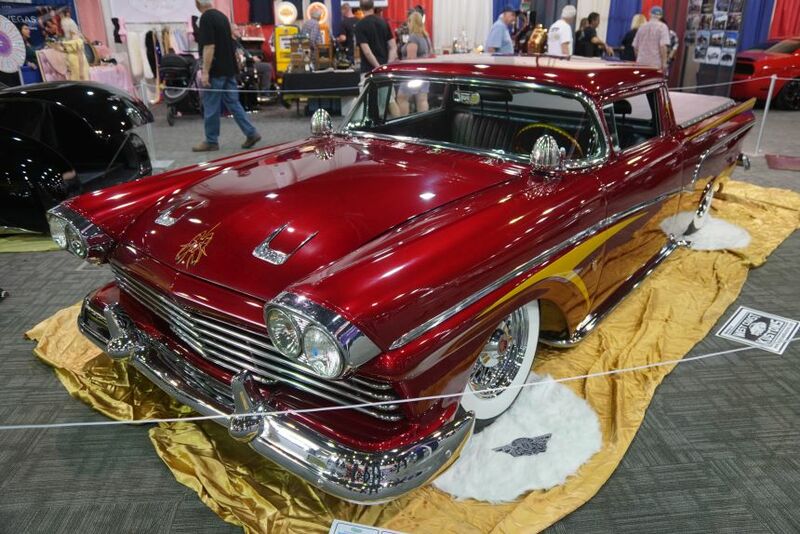 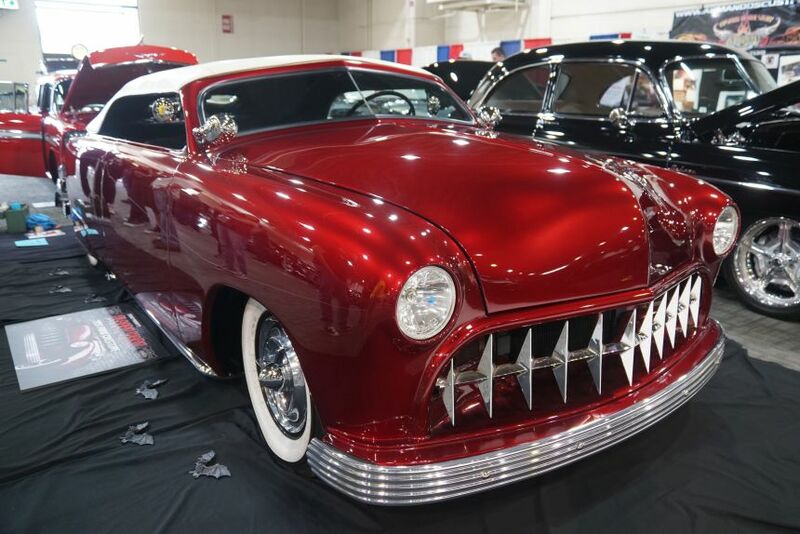 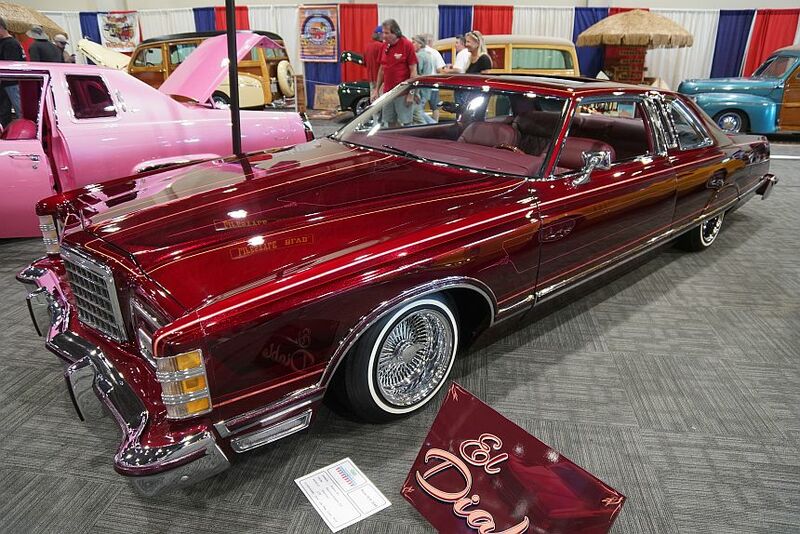 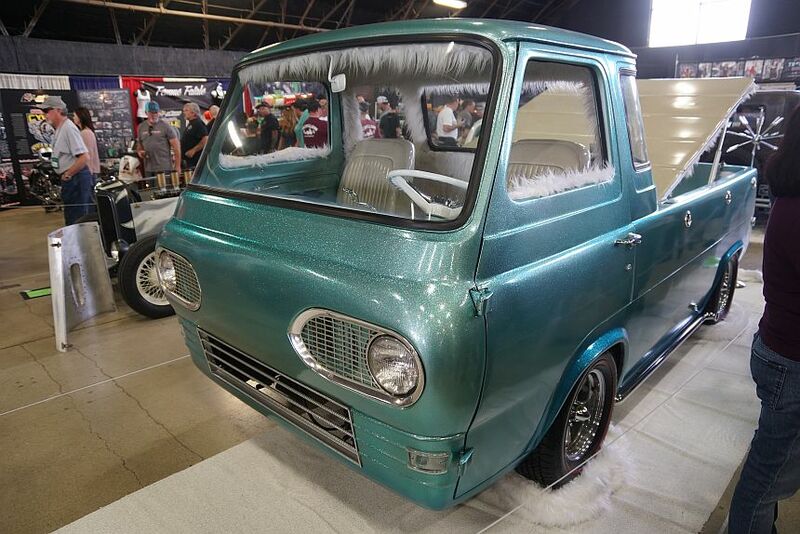 So, whether you were taking a walk down memory lane, looking for an infusion of Southern California car culture, or were just gauging where the custom car industry is headed, no doubt the Grand Nationals was the place to be. 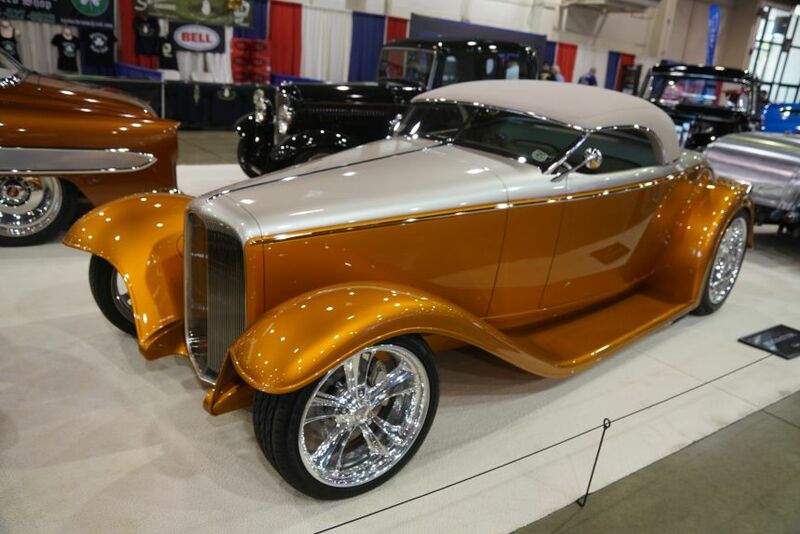 The Holy Grail of hot rods – the AMBR award – is one of the most sought after awards in the industry. 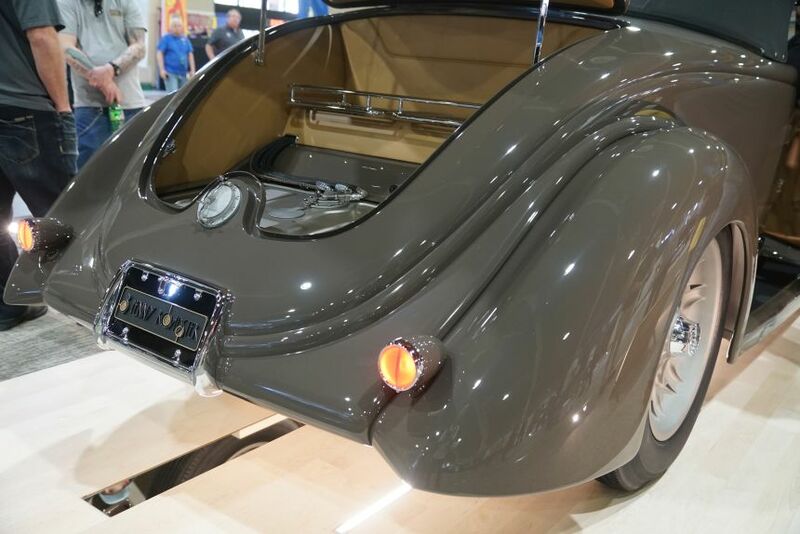 Overall stance, sound, how the owner fits in his own car, fit and finish, engineering and a multitude of other considerations such as body, paintwork, upholstery, and craftsmanship are considered when selecting the winner. 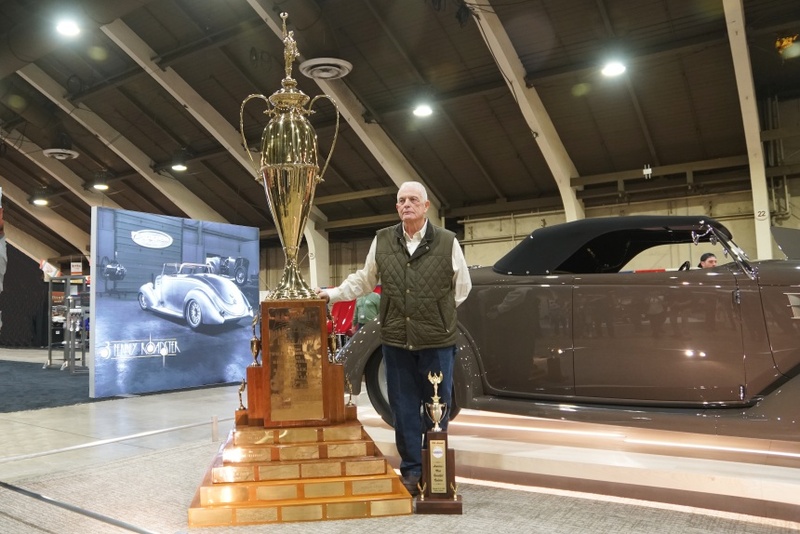 Besides a check for $10,000, the winner will have their name added to the 9 1/2 foot tall trophy, with some of the best builders in the world. 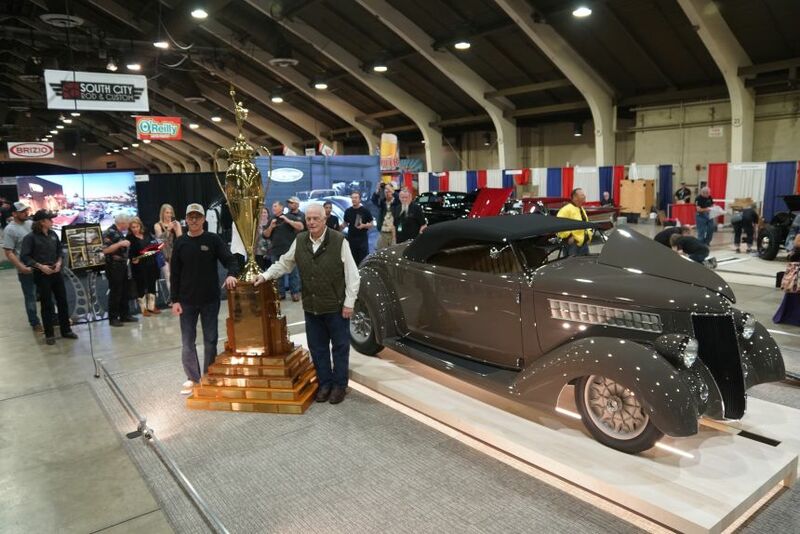 The AMBR award “goes to the fastest guy we’ve ever had up here.” Those were the words used to describe the owner of America’s Most Beautiful Roadster for 2019 because George is not only an avid custom car collector, but he has set numerous speed records on the Salt Flats – well over 400 MPH. 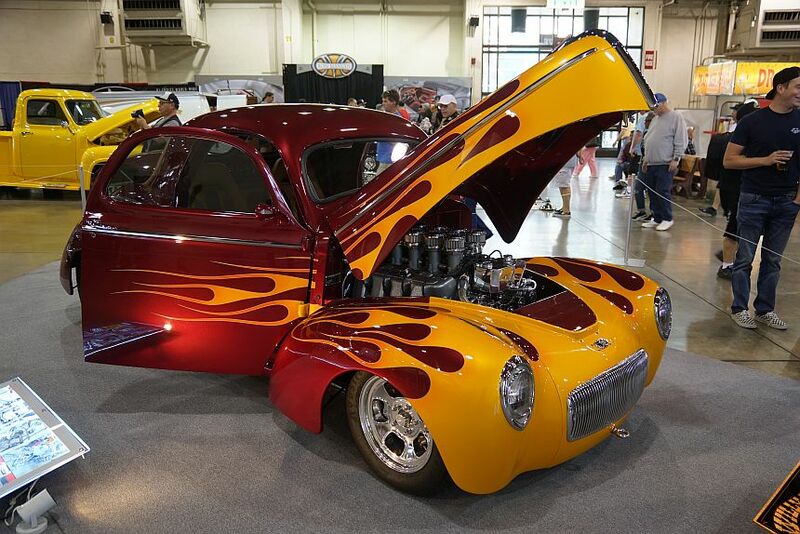 For more, see George Poteet: The Ultimate Hot Rodder. 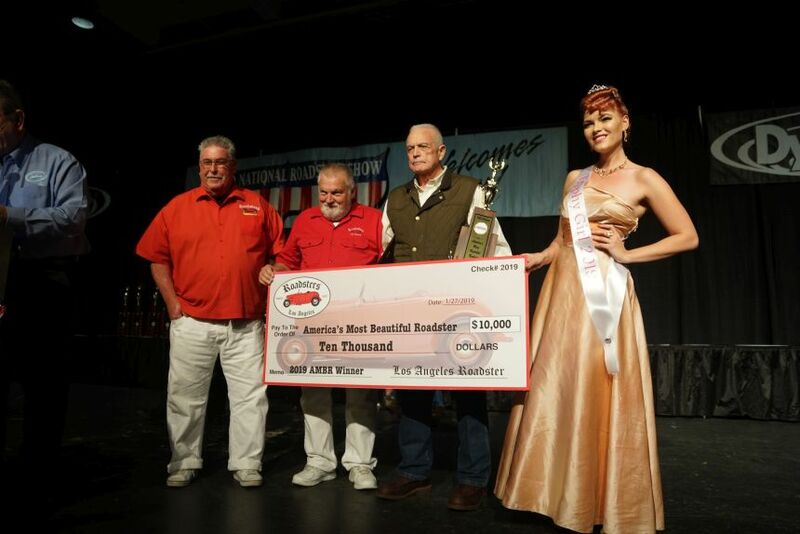 To be selected as finalist for the AMBR award is in itself quite an accomplishment. 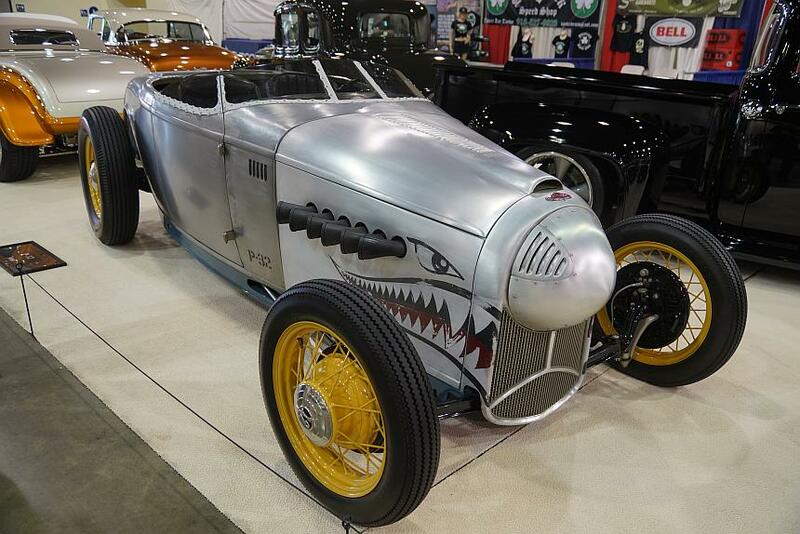 This year 14 expertly build roadster were in contention for this coveted award. 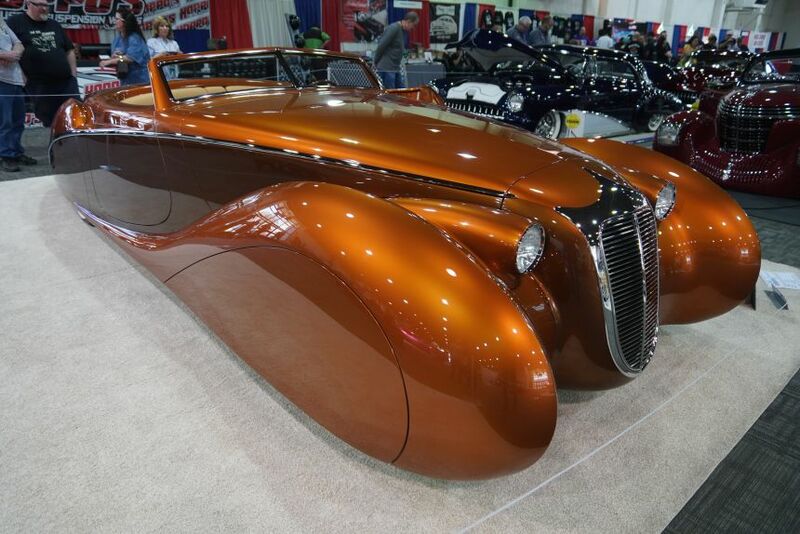 Here are the other 13 cars that were in competition for America’s Most Beautiful and the special awards that some of the contenders received. 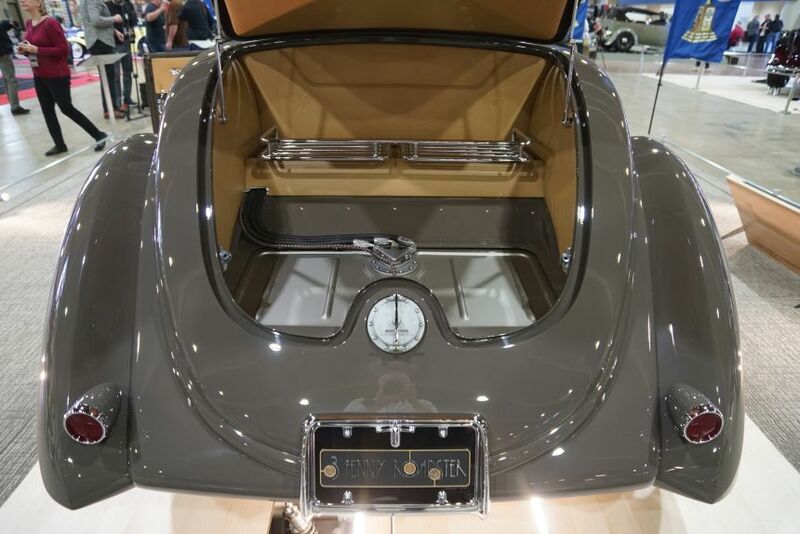 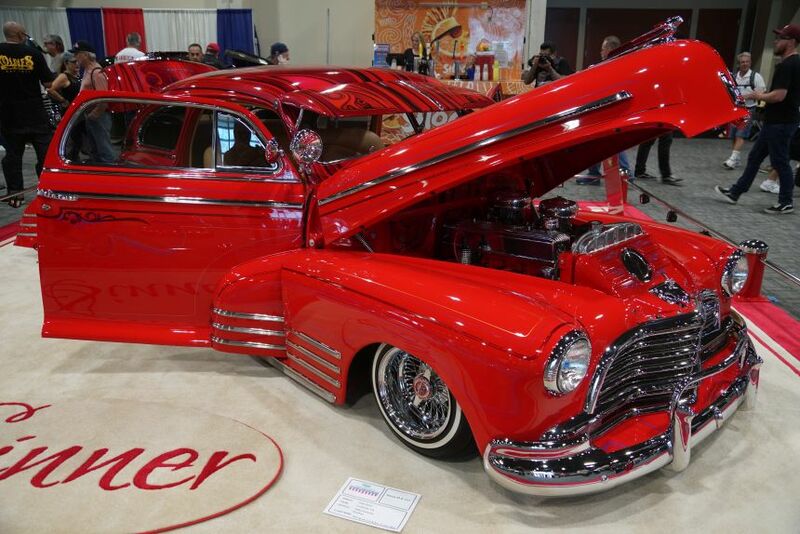 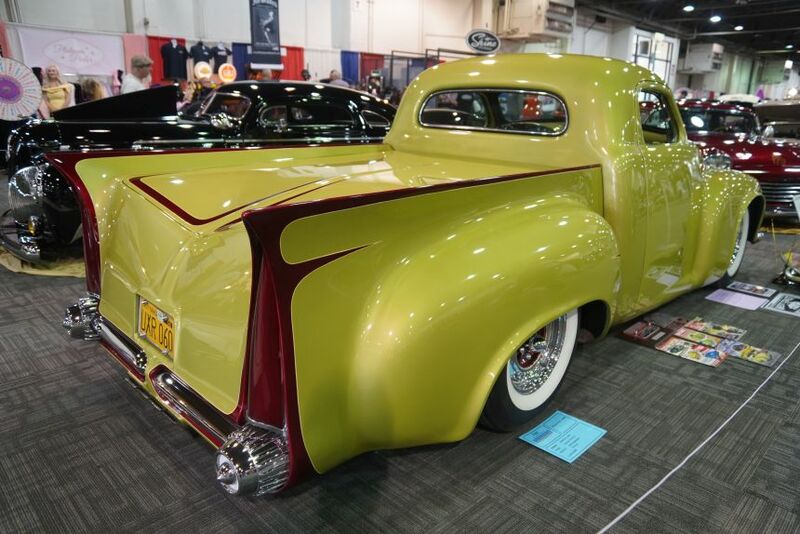 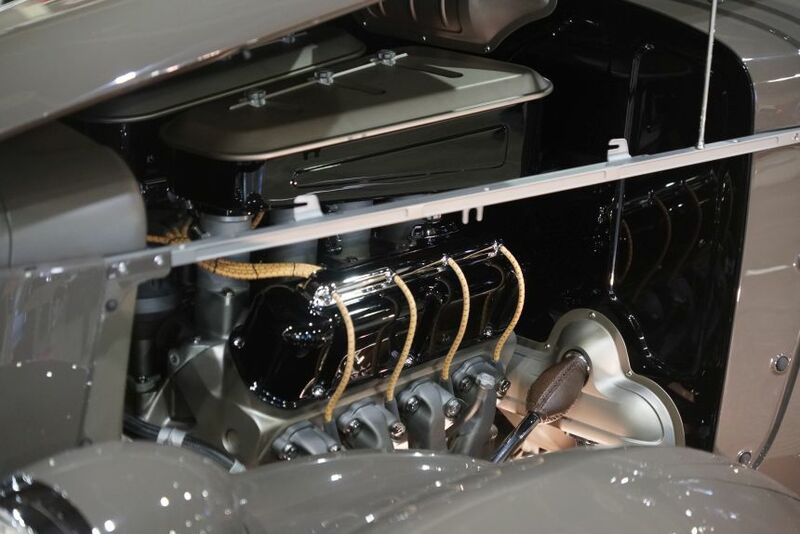 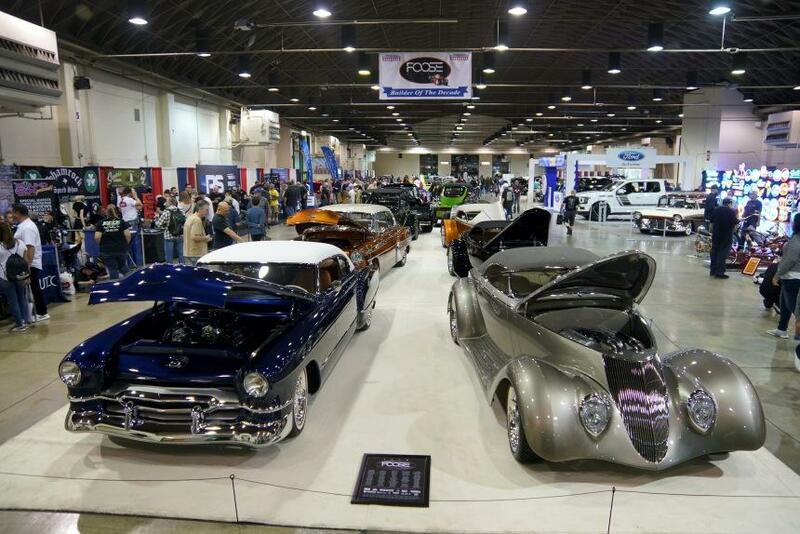 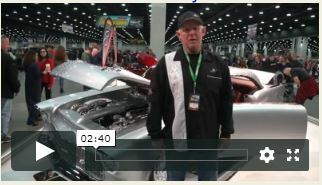 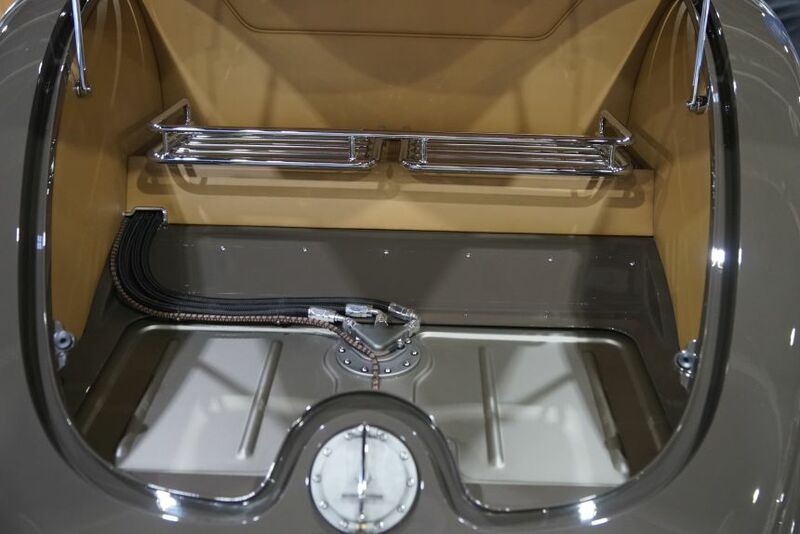 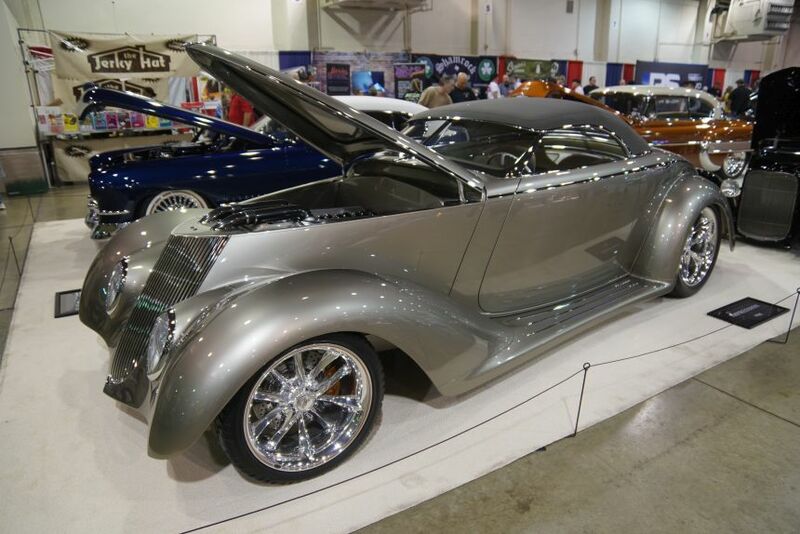 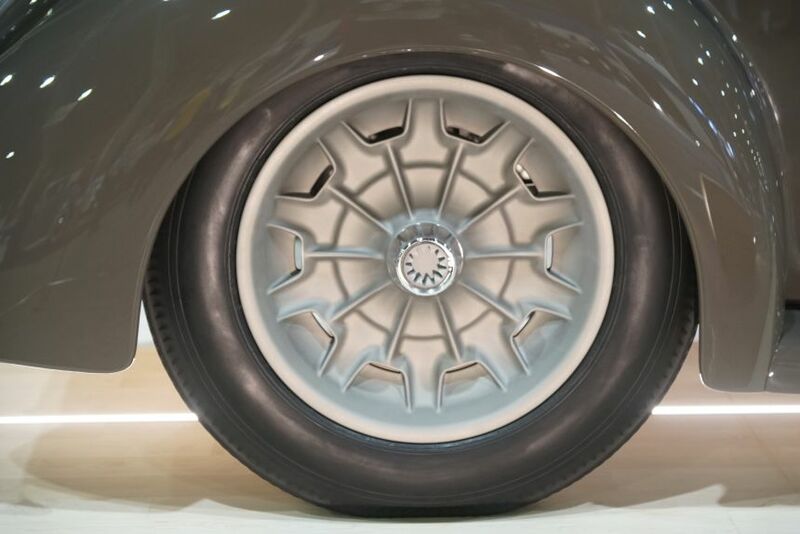 Here Martin talks about his show-stopping ‘Imagine’ at the Detroit Autorama, where he won the Ridler Award in 2018. 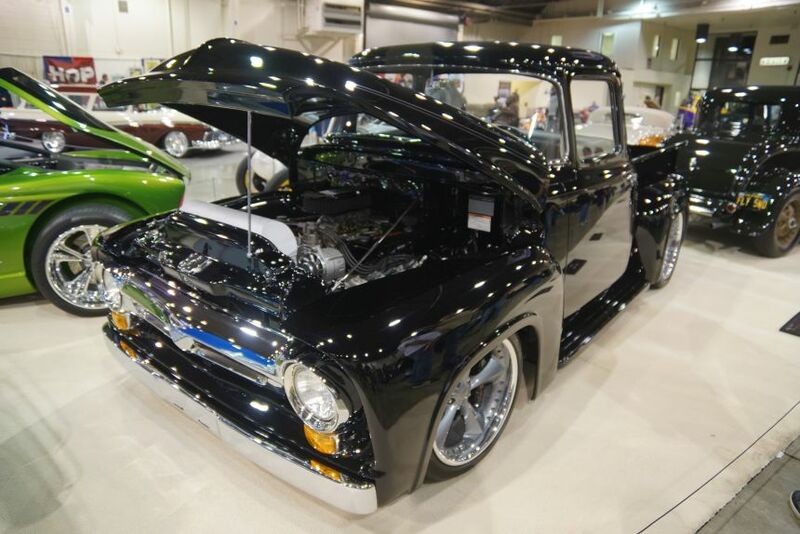 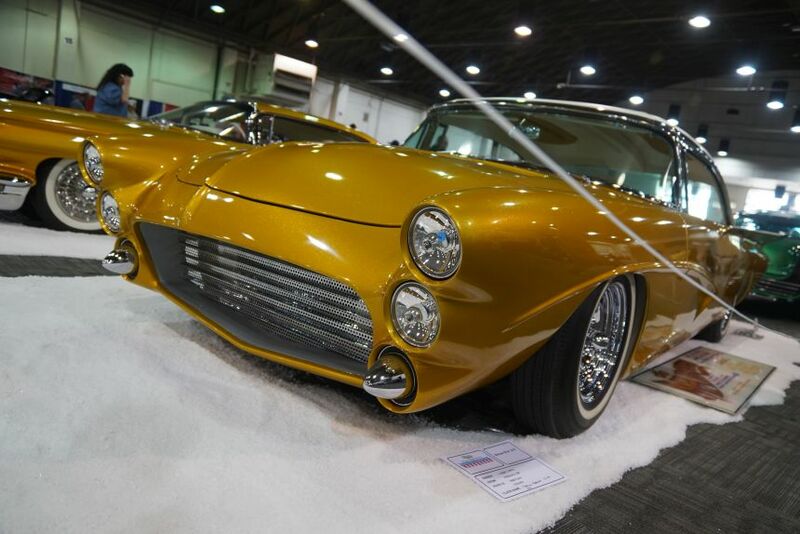 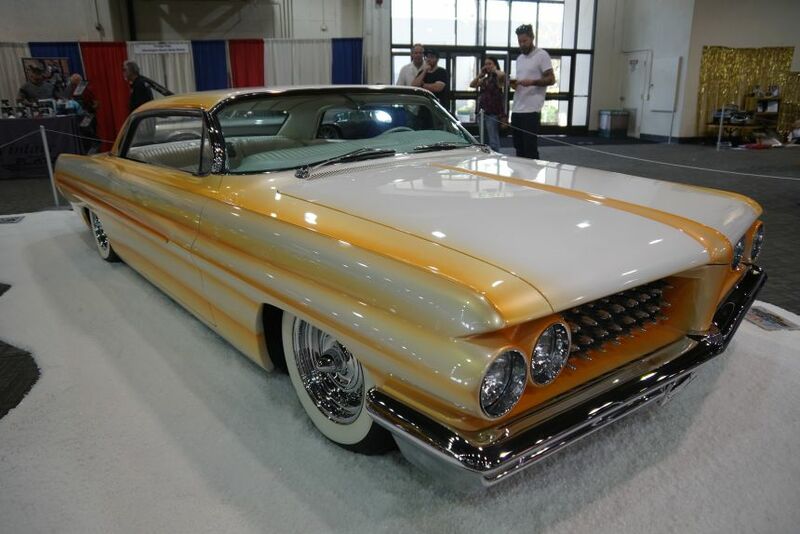 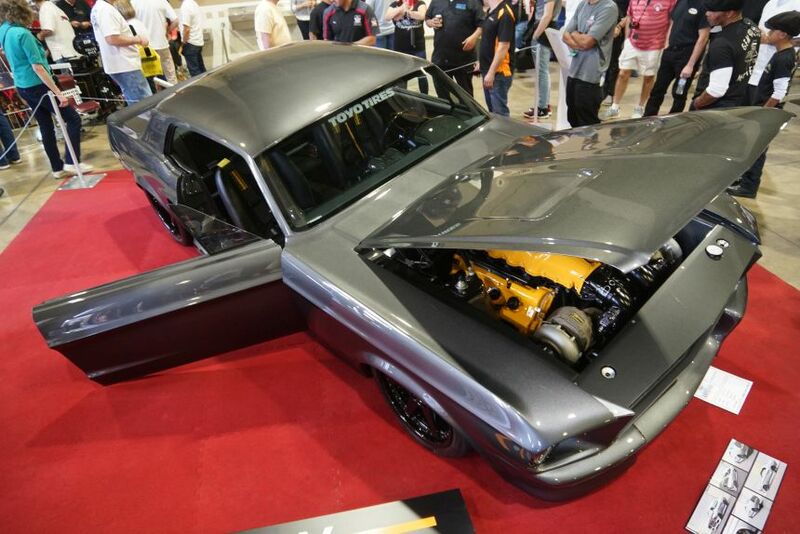 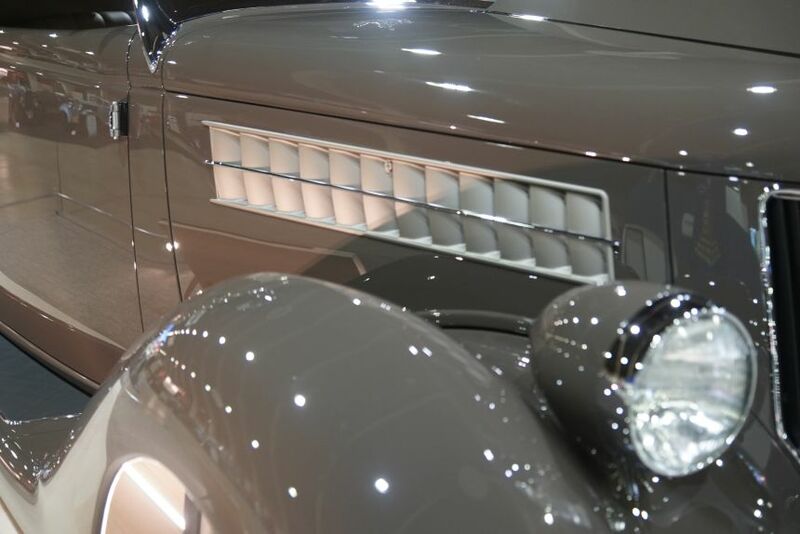 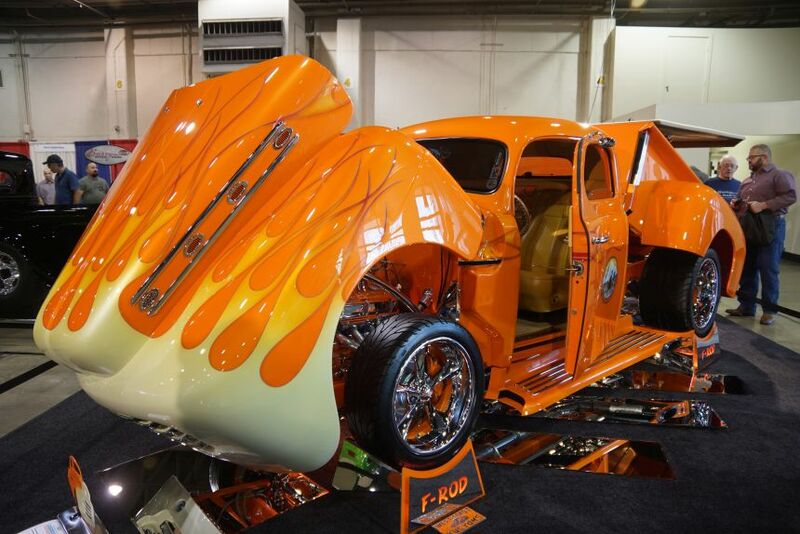 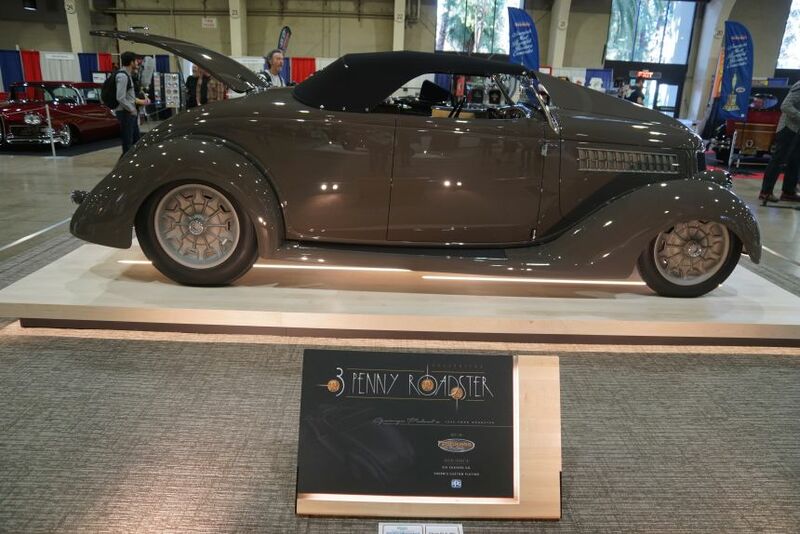 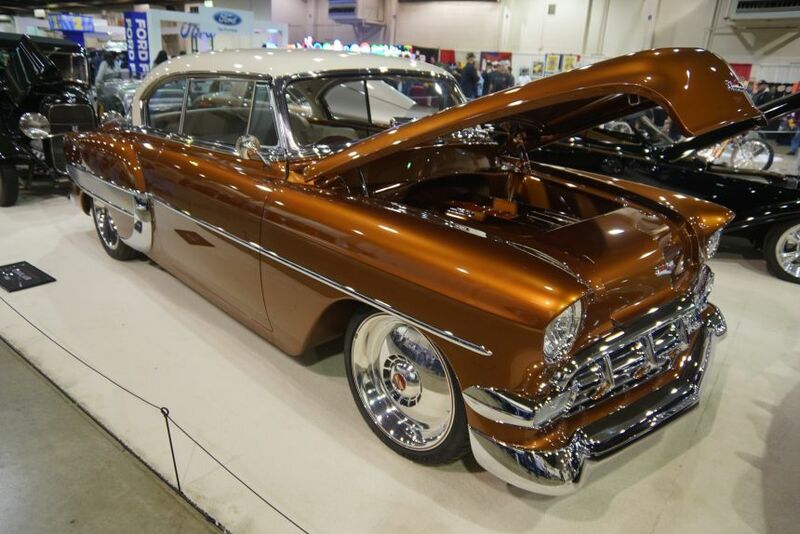 When Chip Foose brings a new custom build to a major competition, he is usually the one to beat, as demonstrated by the number of awards he’s received, including multiple AMBR and Ridler awards. 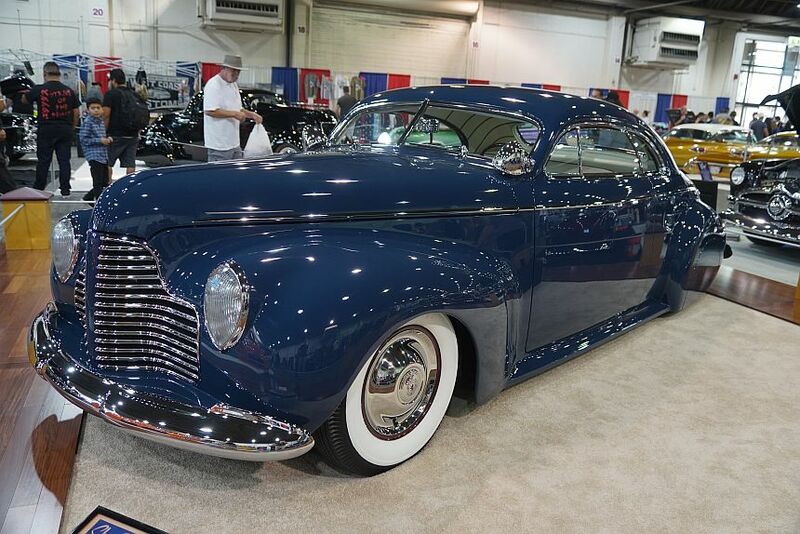 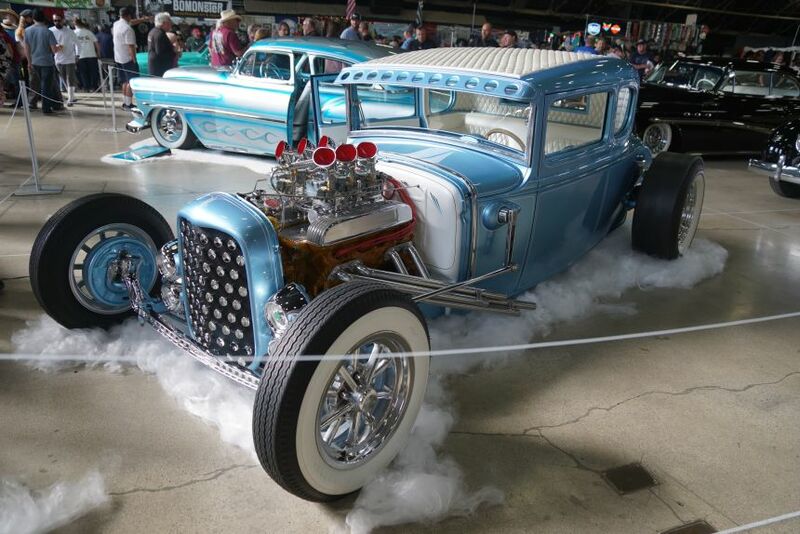 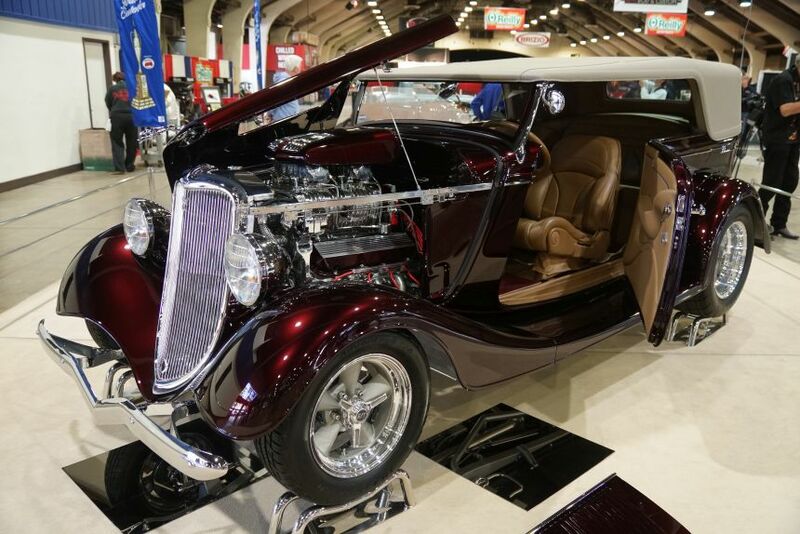 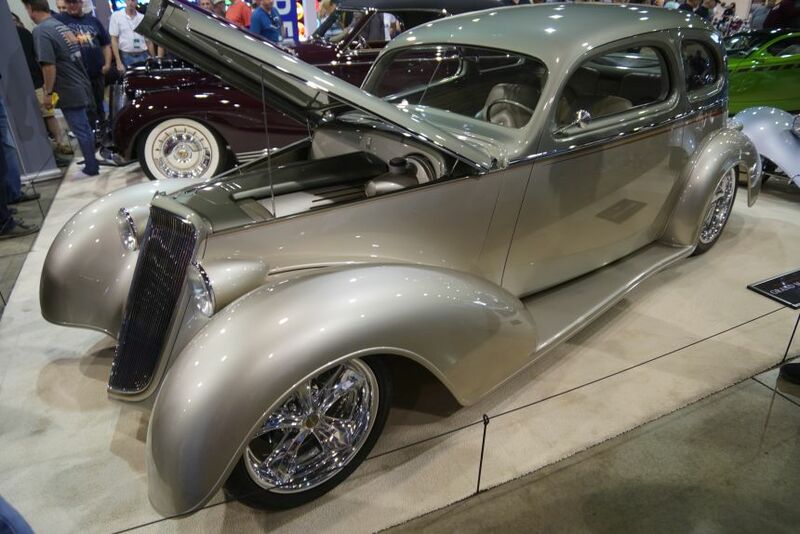 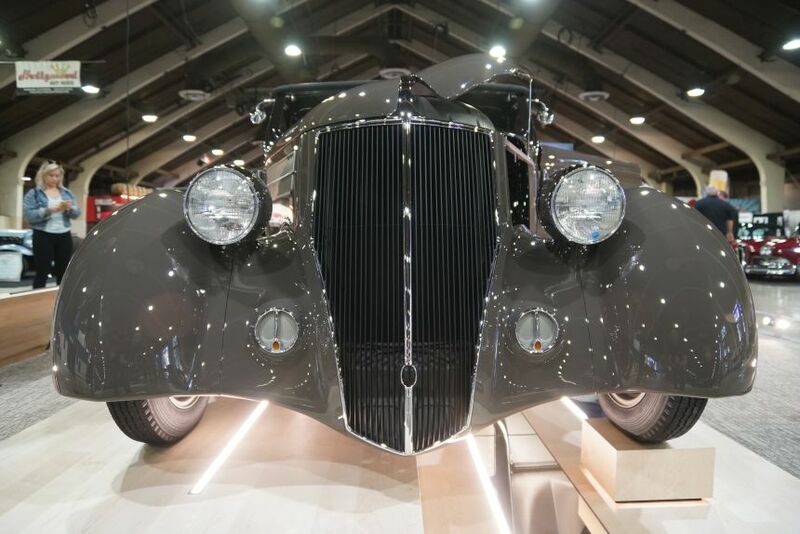 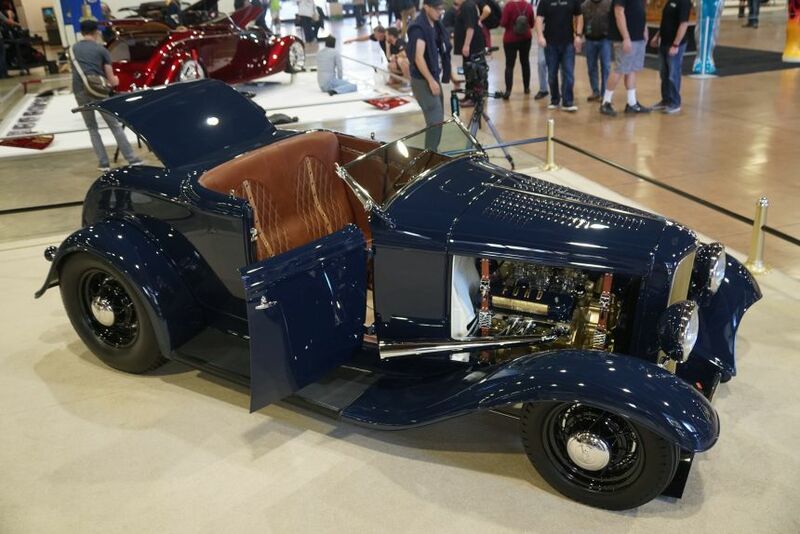 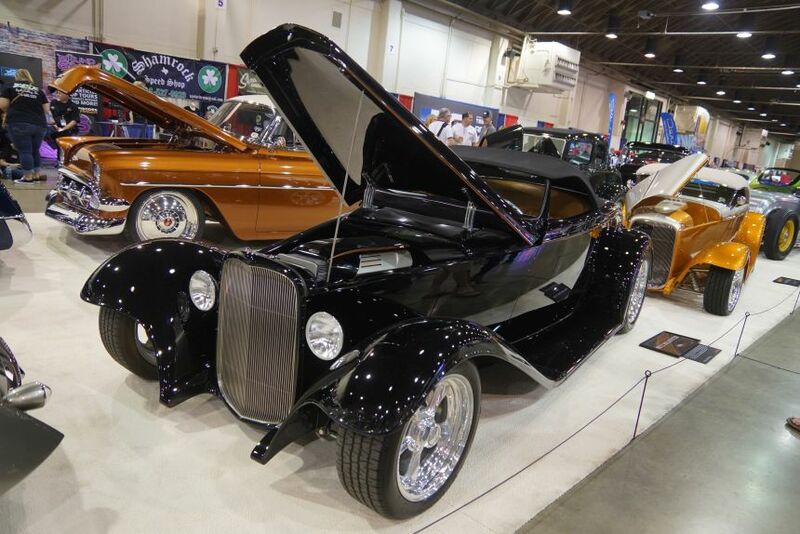 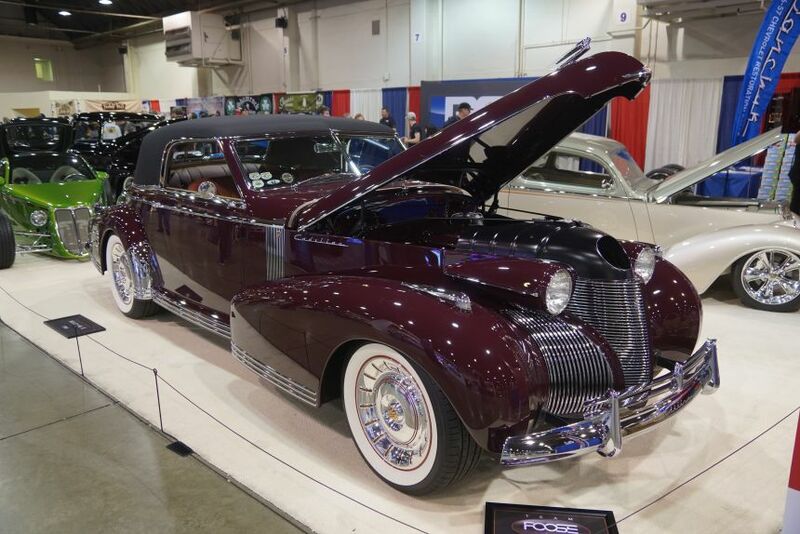 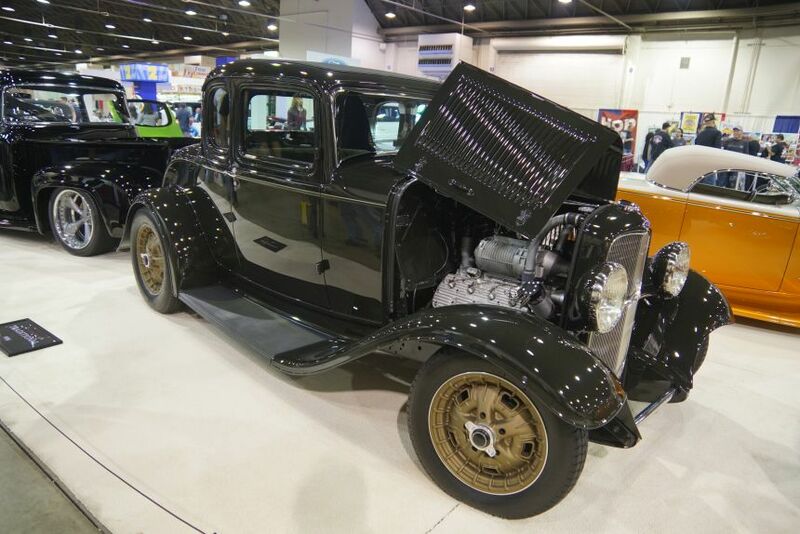 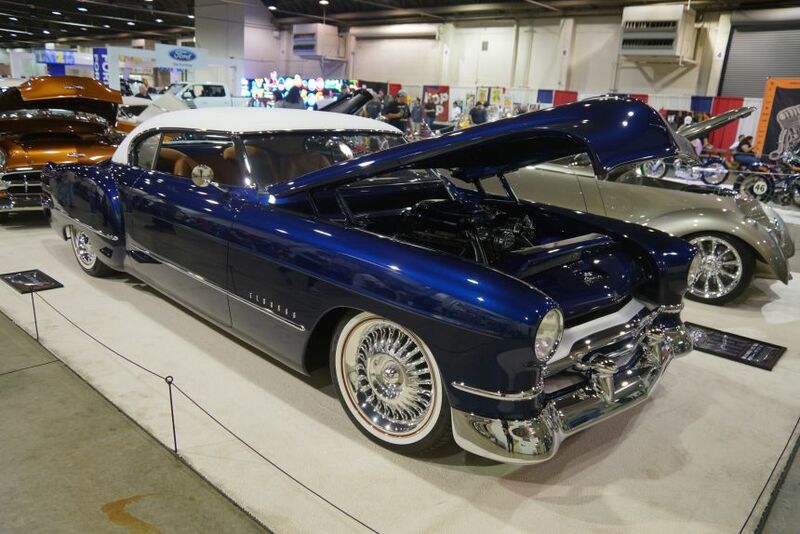 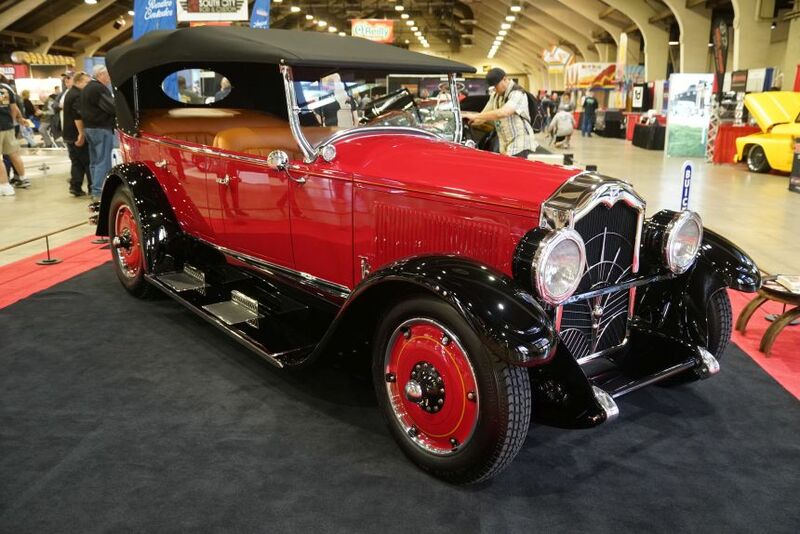 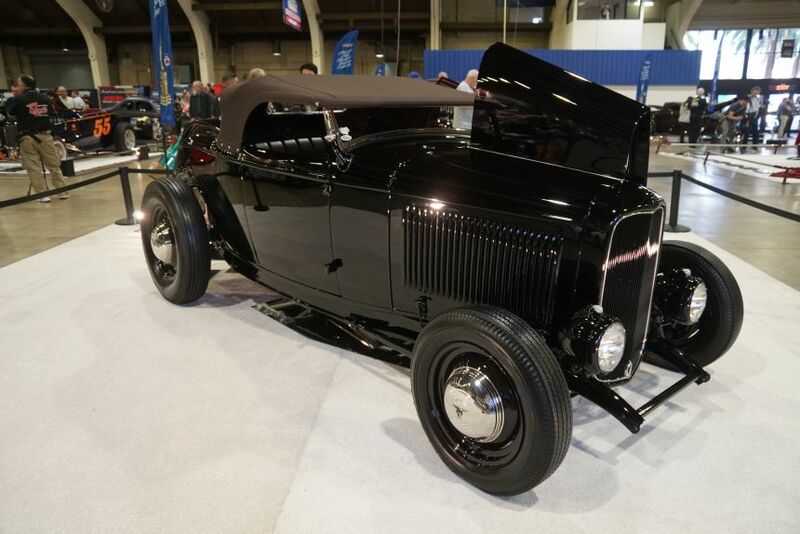 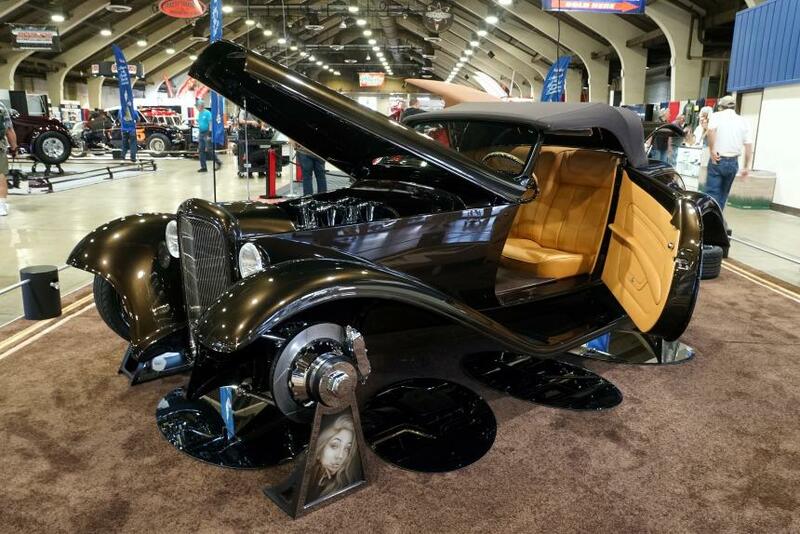 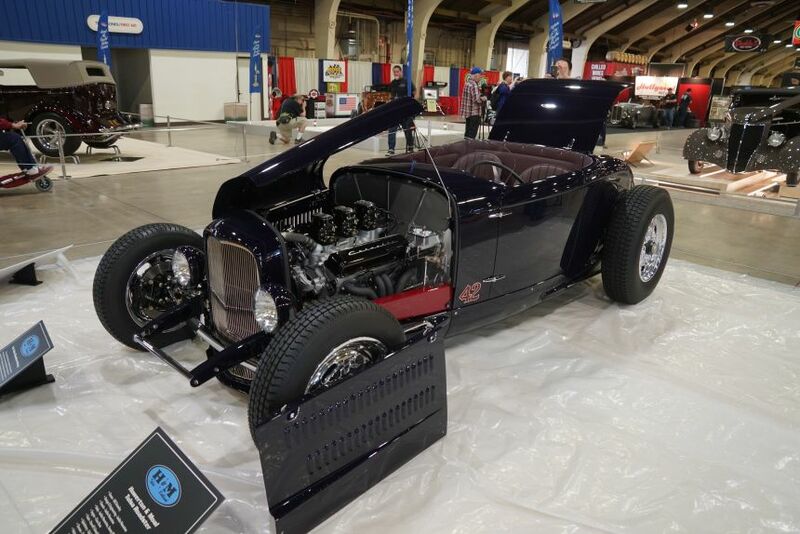 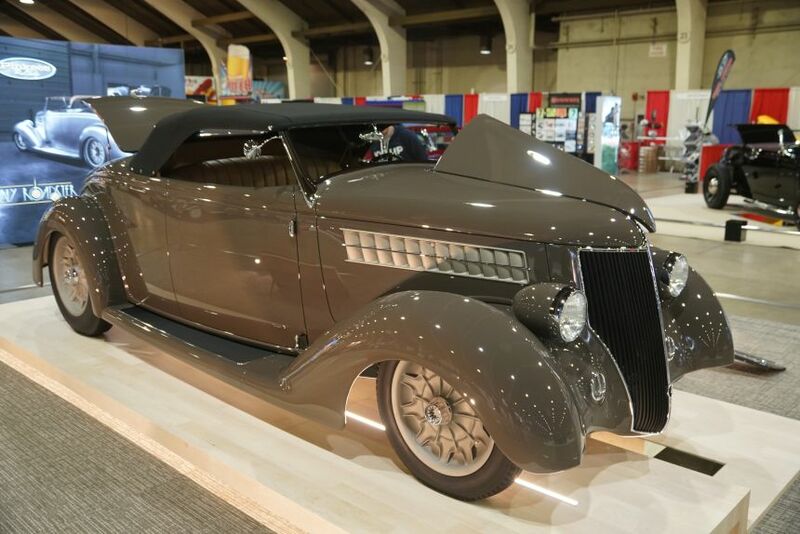 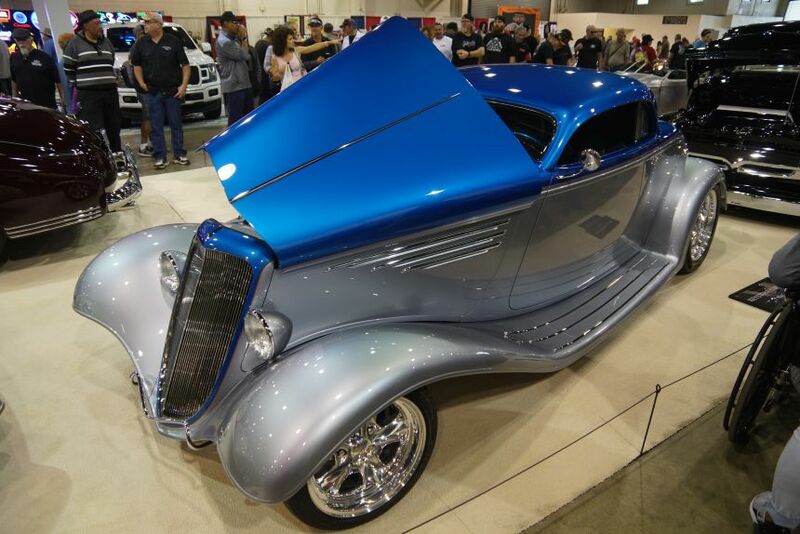 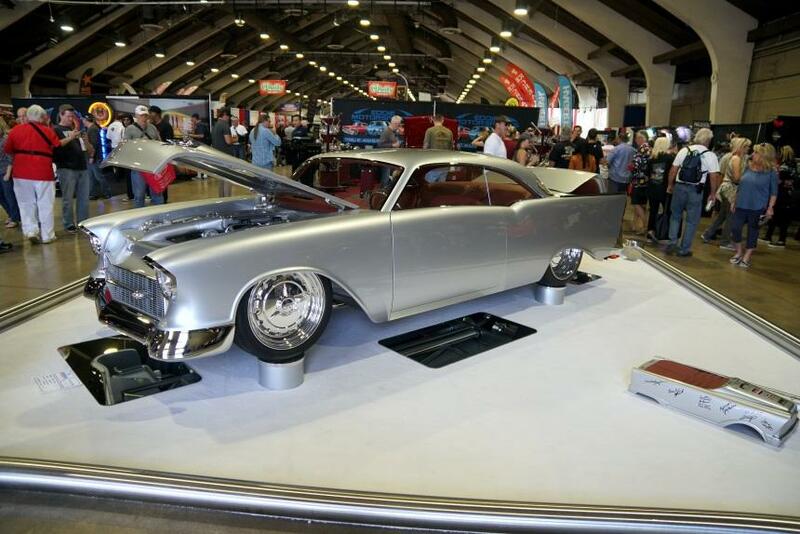 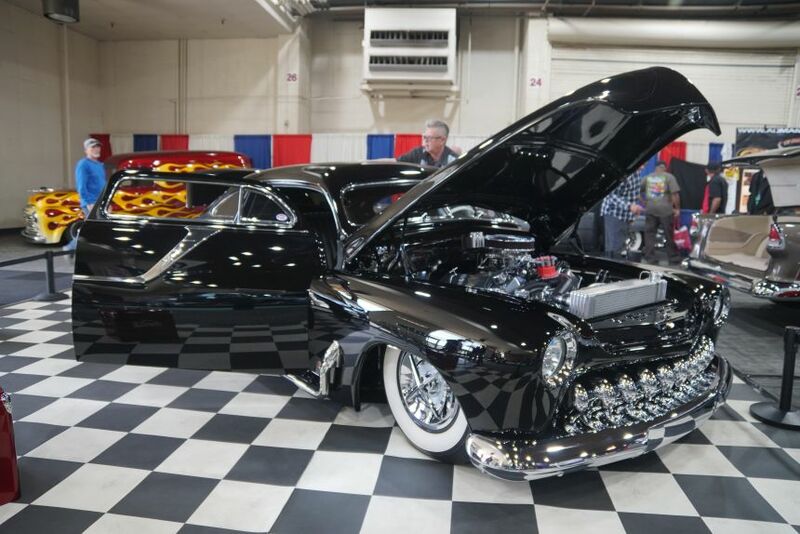 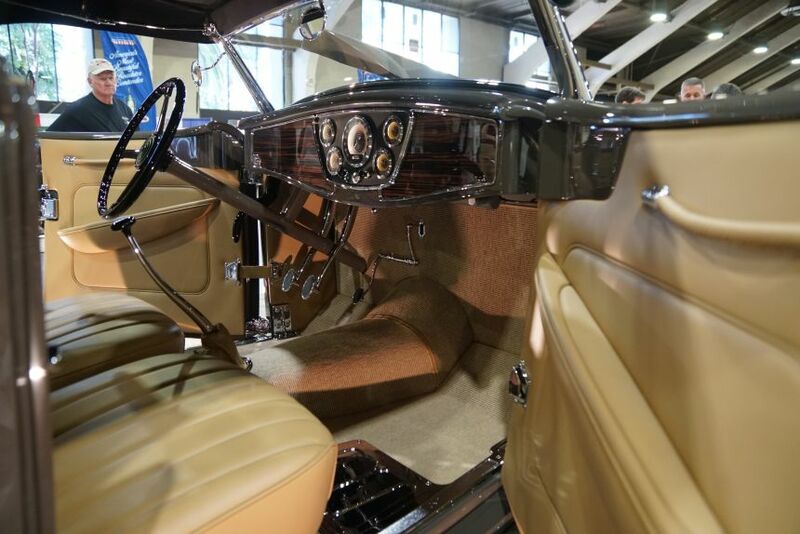 Therefore, it certainly wasn’t a surprise when the 2019 Grand National Roadster Show named him the Builder of the Decade. 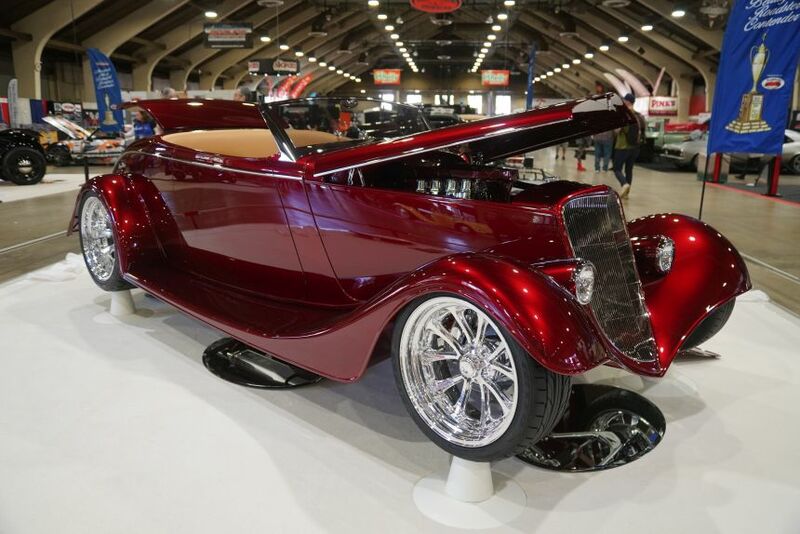 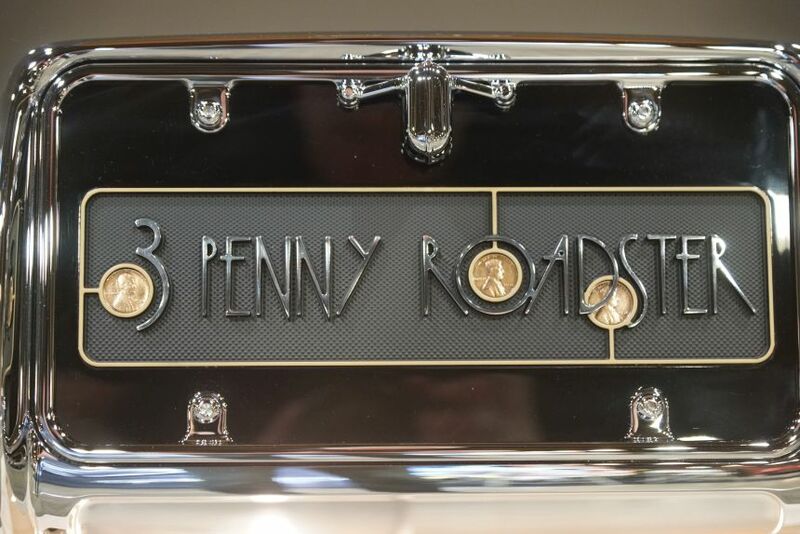 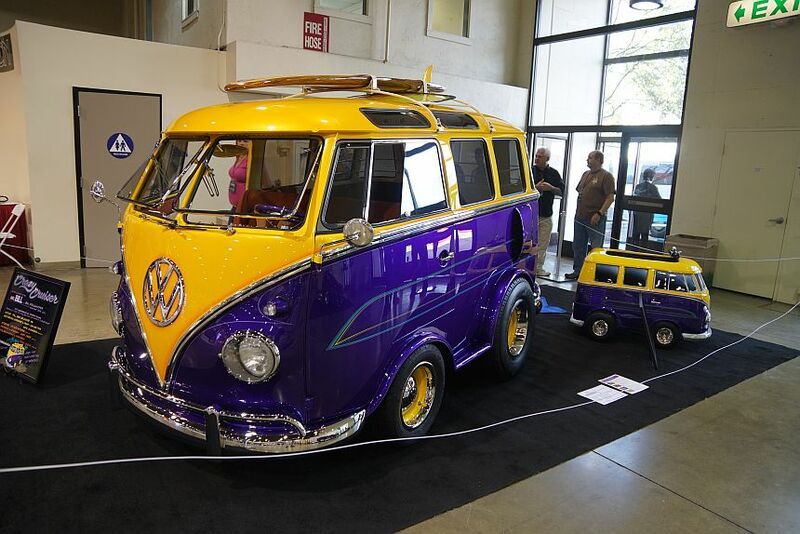 To help celebrate this achievement, 12 examples of his designs, some owned by Chip, and others owned by former clients, were on display at the Roadster Show – significantly, the largest gathering of his builds ever assembled. 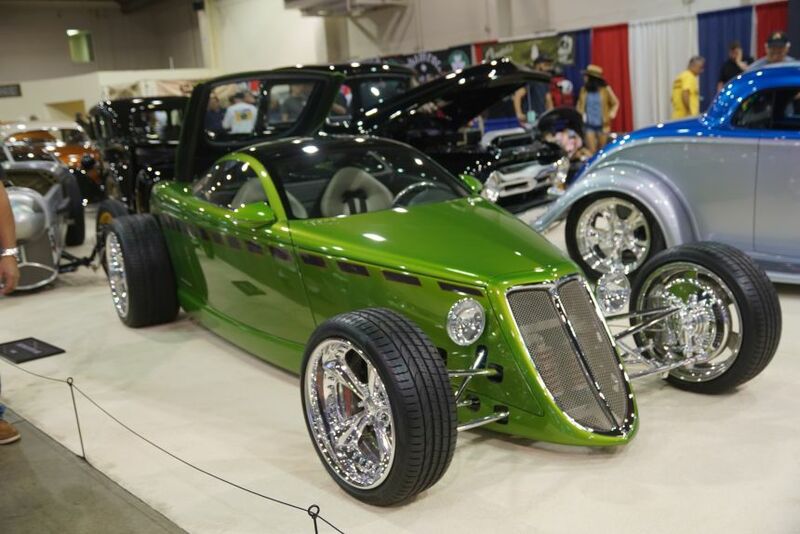 Each one has a story, from the car called “Impression,” which won both Ridler and AMBR awards (a monumental achievement), to the too cool “P32 Street Fighter,” that he says was the most fun project, to his personal 1956 Pickup “ FD-100,” which he bought at age 13 and was his original daily driver.